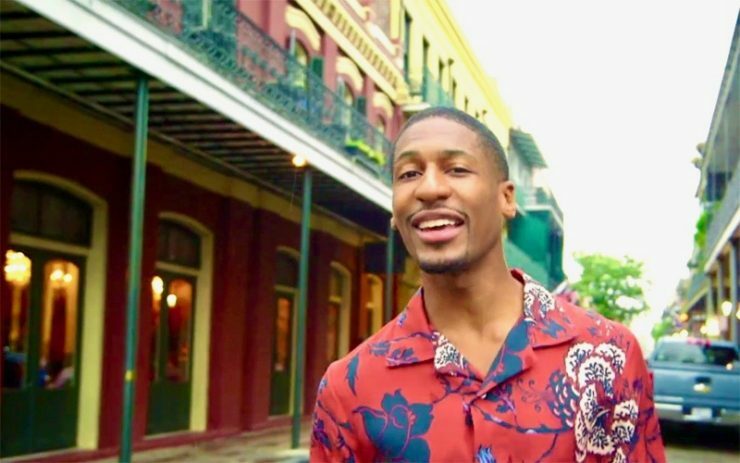 Jon Batiste is going home to New Orleans for Mardi Gras to parade with the Krewe of Endymion. “The Late Show with Stephen Colbert” bandleader is the superkrewe’s Grand Marshal for 2018. Endymion, one of Mardi Gras’ most massive and well-attended parades, is known for its elaborately feathered costumes, its celebrity appearances, and its large luminous floats. The Krewe of Endymion always rolls through mid-city New Orleans on the Saturday before Fat Tuesday and ends with an extravaganza at the Mercedes-Benz Superdome where revelers party into the morning’s wee hours. Joining the Juilliard trained Batiste for this year’s festivities are Rod Stewart and Jason Derulo. You can see stage performances via an LED screened float on the Carrollton to Canal parade route. Batiste’s music career began as a drummer with his family’s band, a New Orleans favorite, the Batiste Brothers Band. “[My] earliest musical memory is probably being scared stiff with my family’s band as a youngster on stage playing the conga drums,” Batiste told “Rolling Stone“. The late-night musical director released his first album as a 17-year-old, got a master’s from The Julliard School in New York City and, like his mentor Wynton Marsalis, heads a significant jazz institution: The National Jazz Museum in Harlem. Along with the Krewe of Bacchus, having had their first celebrity king (Danny Kaye) in 1971, Endymion is one of the first krewes to feature superstars in their parade. And like this year, the super krewe’s first star was a late-night bandleader, Doc Severinson of “The Tonight Show starring Johnny Carson” in 1974. Other Endymion royalty has included Fats Domino, Carrie Underwood, Kelly Clarkson, Britney Spears, Dolly Parton, Al Green, Natalie Cole, Anderson Cooper, and just last year, Flo Rida. For Mardi Gras revelers, the parade begins at 4:15 pm on Saturday, February 10th. For those who are not so lucky to have made the trip, you can watch via paradecam.